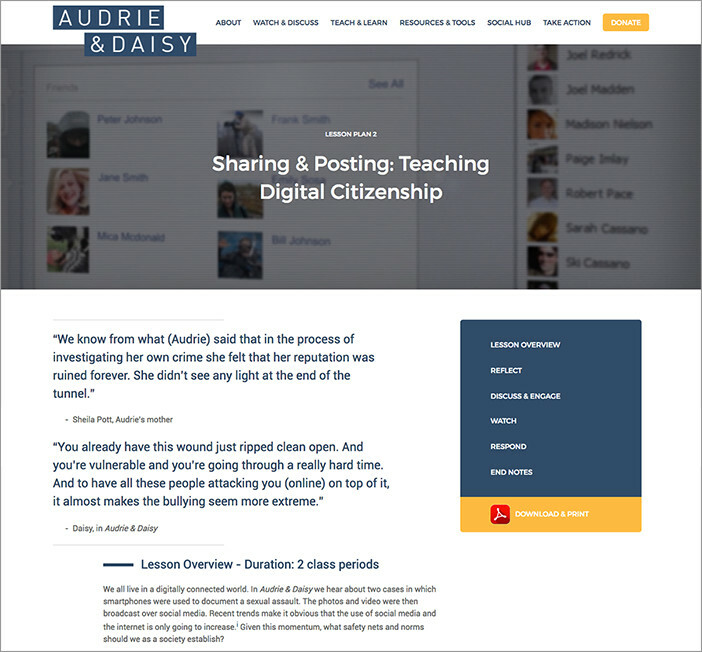 iid is honored to have helped launch Audrie & Daisy in support of a new Netflix documentary to shed light on teen sexual abuse in the social media age. “Audrie & Daisy” follows two girls, Audrie Pott and Daisy Coleman, both of whom said they were sexually assaulted and were subjected to vicious harassment afterward on social media. 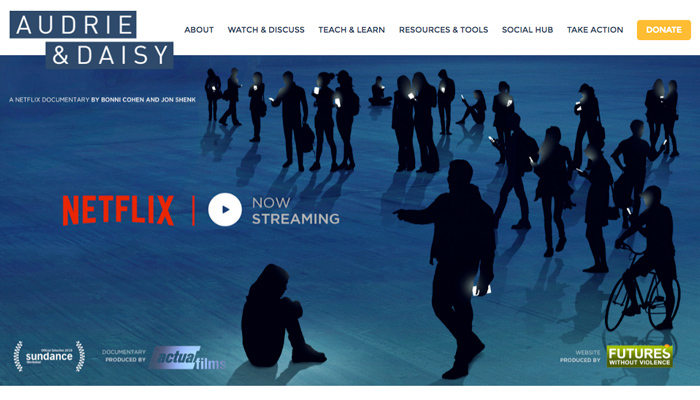 We collaborated with Futures Without Violence and the documentary filmmakers to launch this educational site focusing on helping educators best screen the film in classes and discuss the issues effectively. 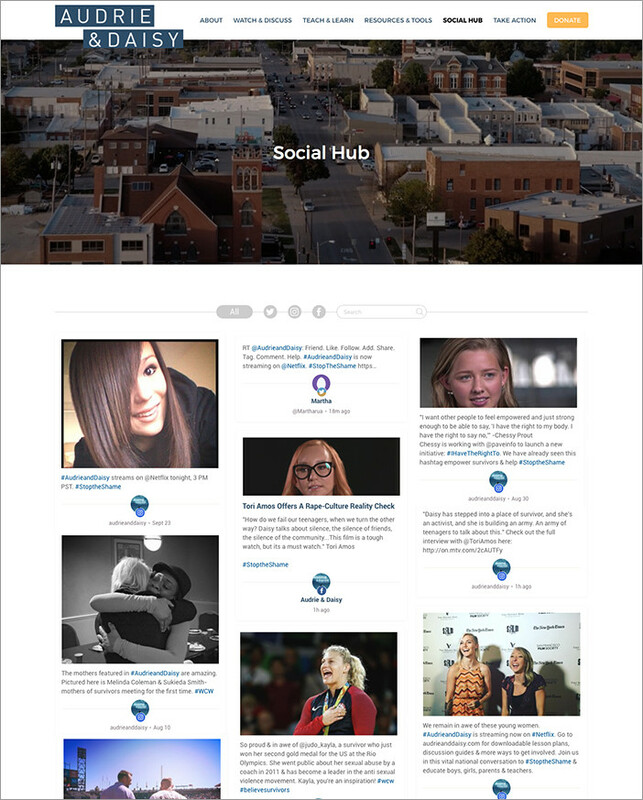 Focusing on the intersections of sexual assault, social media and the community at large, the educational website will inform a cross-section of individuals and groups including survivors, parents, teachers, law enforcement, health care professionals and public officials. The website includes a variety of educational resources including discussion guides for parents and screenings, lesson plans for teachers, social hub to pull in hashtagged posts, and tips for taking action in your community. This important film has received a great deal of coverage on Washington Post, USA Today, and NPR, among others. Be sure to watch the AUDRIE AND DAISY documentary on Netflix.